Sudan's military council announced a number of measures for reforming the country. In particular, they stated that they would form a committee to take over the former governing party's assets. The council has also promised to release all army and police officers who participated in the protests. Moreover, the council has refused to participate in the country's transitional government, explaining that they should wait for elections. They have also declared that they have restructured the country's intelligence and security service, appointing General Abu Bakr as the new intelligence head. Apart from this, the council stated that they had retired the country's Defence Minister Awad Ibn Auf, as well as the ambassadors to Washington and Geneva. Earlier in the day, the Central Bank of Sudan on Sunday froze accounts of all government bodies, dissolved by the country's newly established ruling transitional military council, the bank said in a statement. "Based on the decision of the military council, we decided to freeze all accounts of government bodies dissolved by the council [the parliament, presidential office, state authorities and so on]" the statement obtained by Sputnik said. 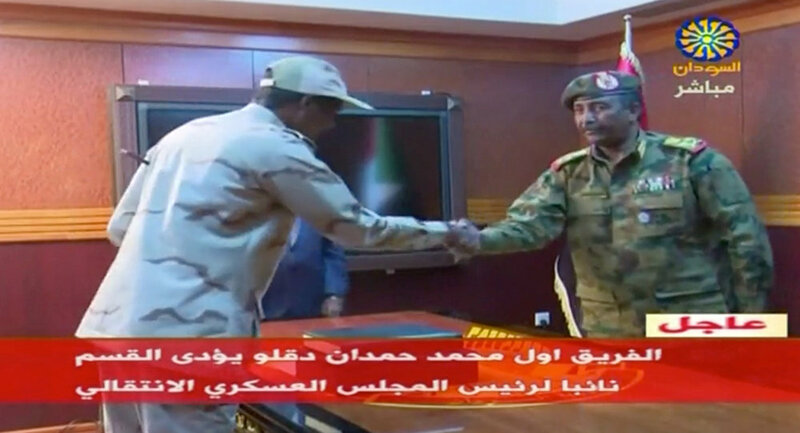 Prior to that, the deputy head of the Sudanese transitional military council, Mohamed Hamdan Daqlu, held a meeting with US charge d'affaires ad interim in Khartoum Steven Koutsis at the presidential palace, according to the council's statement, obtained by Sputnik. During the meeting, Daqlu briefed the US diplomat on the situation in the country and the reasons for the establishment of the transitional council. The deputy head of the council also discussed with Koutsis what steps could be taken to ensure security and stability in Sudan. "The charge d'affaires ad interim, in turn, has welcomed the role of the military council in establishing stability and assured [the council's deputy head] of the need to continue cooperation between the two parties", the statement added. 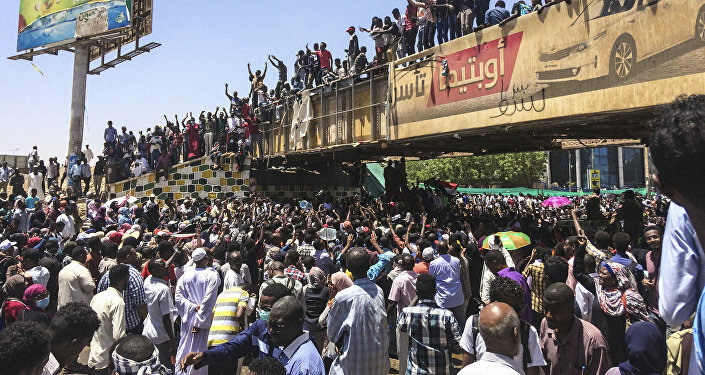 The transitional council was established on Thursday for a period of up to two years, after the Sudanese military removed President Omar Bashir, who had ruled the country for 30 years, from power amid months-long anti-government protests. The council cancelled night-time curfew and vowed to hand over the power to a civil government in two years.